Here are the 2nd part of 10 German's Unique concept cars. Six years before the BMW M1 would be revealed to the public, there was the 1972 BMW Turbo concept. There were so many visual elements of this car that would ultimately find their way into various models in the BMW lineup. 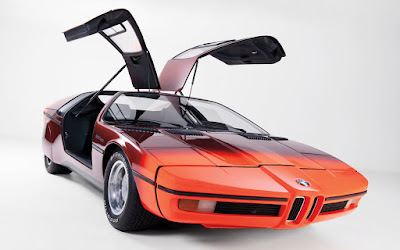 Initially, BMW built the car as a showpiece for the 1972 Summer Olympics, hosted in Munich. The concept was built on a highly modified 2002 chassis, with a turbocharged 2002 engine mounted in the rear. The concept featured various safety innovations, such as a braking distance monitor utilizing radar, side impact door beams, and foam filled front and rear sections. When you consider how pervasive these ideas are today, the importance of this concept becomes more obvious than just the good looks. The peculiar name of this lesser known Audi concept literally means 'Ace of Spades'. 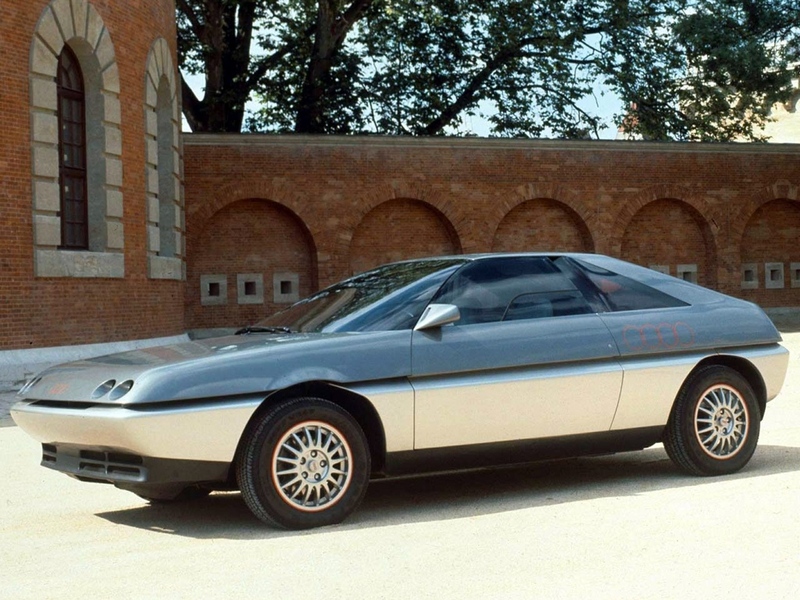 The car was commissioned by Karmann Coachworks, but designed and built by Giugiaro's firm ItalDesign. 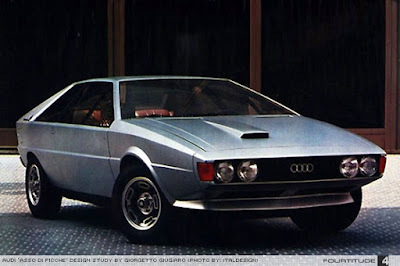 The car was one in a series of concept coupes, this one being introduced in 1973 as a front wheel drive, two door 2+2 based on the Audi 80 platform. 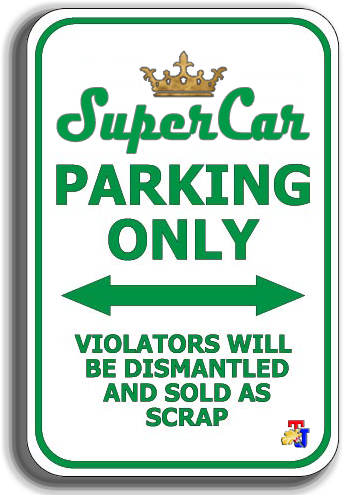 While Audi never did much with the design, it is believed to be a primary source of inspiration for what would later become the Volkswagen Scirocco. In what was arguably a dark time for automotive design, the Opel Geneve was a breath of fresh air. 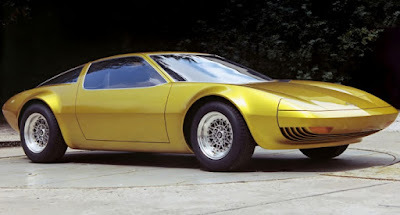 The initial concept was meant to progress into something more tangible, with the intent that it would house GM's new Wankel engine in the rear. When General Motors and Opel ceased development of the Wankel program, the Geneve concept largely died with it. At one point, an orange version of the car appeared with a 230 hp V8 engine. The 1978 CW311 in many ways was a derivative of the earlier C111 development platform. Unlike the earlier concepts, Mercedes didn't use the CW 311 nearly as extensively. Mercedes had so little interest in the concept, they allowed one of their former design engineers, Eberhard Schulz, to utilize the design. He developed his own brand, which he named Isdera. His car, the Isdera Imperator 108i was based very literally off of the earlier Mercedes concept. Sergio Pininfarina decided to build a car specifically for the 75th anniversary of the Swiss car magazine Automobil Revue. He decided in 1980 that the Audi Quattro was the perfect foundation for his vision. Audi happily provided him a UR Quattro by that summer.